With handheld devices like smartphones are now featured with fingerprint scanners as a method of unlocking them, few of us might be wondering when will the password be replaced by another way. Well you don’t have to wait much, since Windows 10 is going to allow you to use your face as an password.It has been a more than a decade since the password is yet to be replaced by other methods of verification on the desktop. At the current rate of how things are going, its going to be a while till you see another reliable method of verification on a PC. But if you are fed up with entering the same password every day and you want something more secure than a simple combination of letters and digits to lock and unlock your computer, you can try using a USB flash drive for locking and unlocking your windows PC. 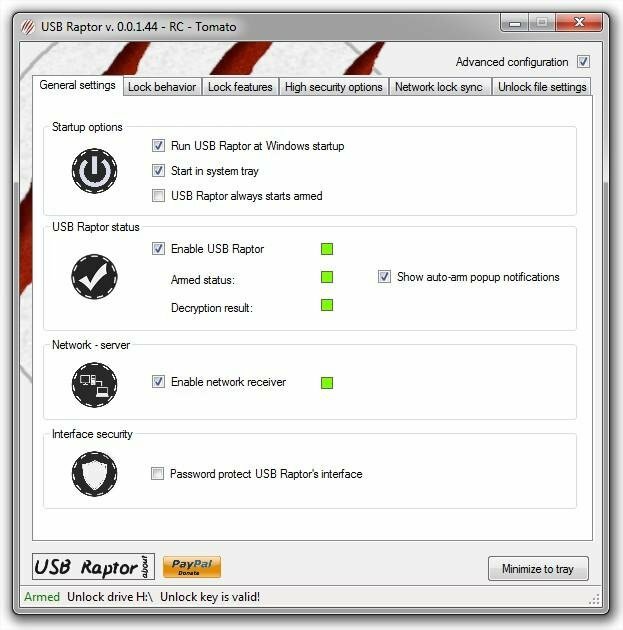 General Settings: Specify USB Raptor’s startup behavior, running settings, auto-arm popup notifications and things like that. You can also password protect the program under this section. 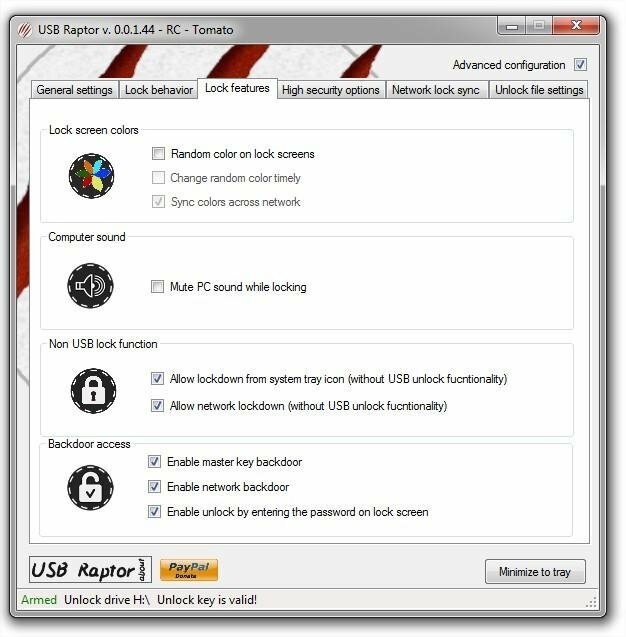 Lock Behavior: Choose whether to use Windows’ default lock, or USB Raptor’s own locking mechanism (better). You can also configure the time delay before the lock triggers, as well as the audio notification for the lock. Lock Features: Configure lock screen background colors, non-USB lock options, as well as backdoor lock options (only available to beta testers). You can also specify additional security by pairing the unlock key file to a specific USB drive via its unique serial number. Unlock File Settings: This is where you select the USB flash drive (if there are multiple USB flash drives plugged in) for storing the unlocking key file in an encrypted format. You can also change the default password to be used for encryption here. 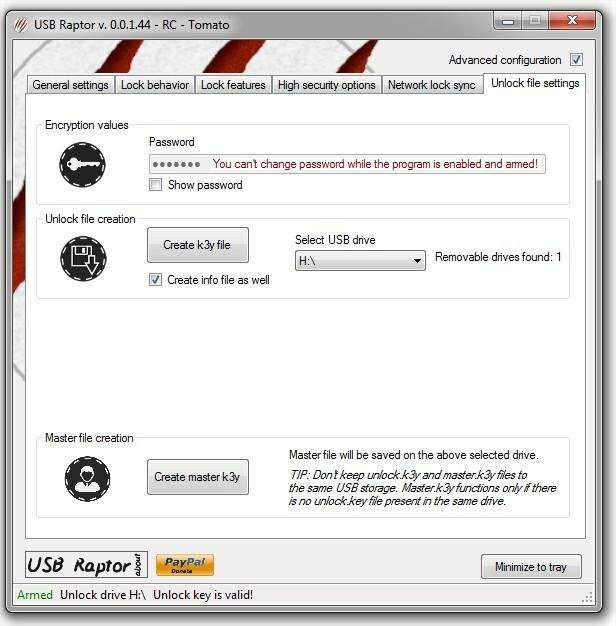 Step 1: Download and Install USB Raptor on your Windows PC. Step 2: Once installed, Connect a USB drive to your PC and run the program. Step 3: Enter a Password of your choice. Step 4: Select the USB drive and click on Create k3y file to create a encrypted key file on the USB Flash Drive. Finally select on Enable USB Raptor. Pretty awesome, isn’t it? Now from next time all you have to do, to unlock the computer is to plug-in the USB Flash drive containing the unlocking key file and your PC will be unlocked. 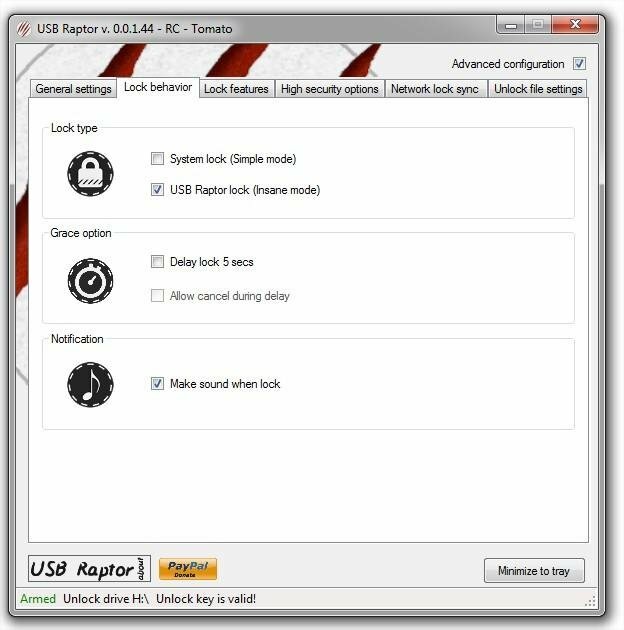 You can even customize the lock screen scrolling message, and other things like the logo by configuring the more_settings.ini file located in USB Raptor’s source folder. Alternatively you can even type in the password manually. Now there are chances that someone else might copy your USB flash drive and use it to unlock your PC. Fortunately this won’t work,since USB raptor will also verify the serial number of the flash drive and if it doesn’t match with the original, then the duplicate USB flash drive will be rendered useless. 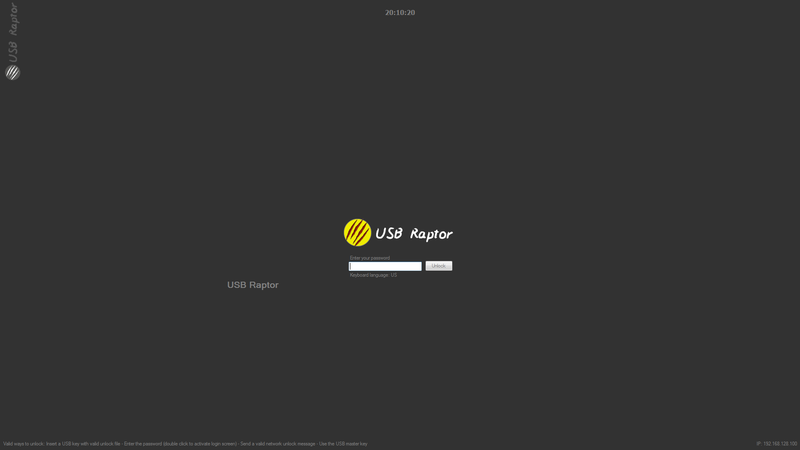 Get USB Raptor Here.